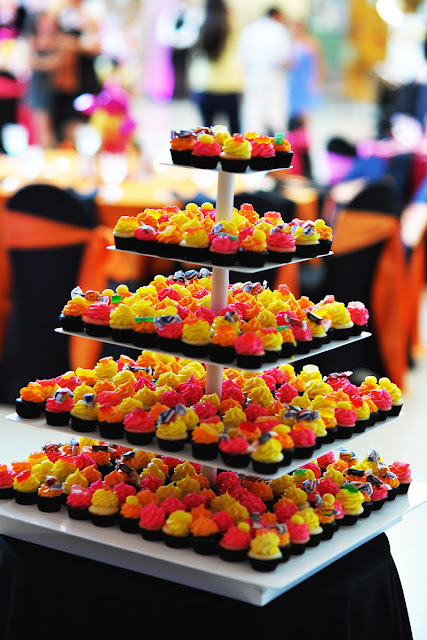 This is a sweet one! 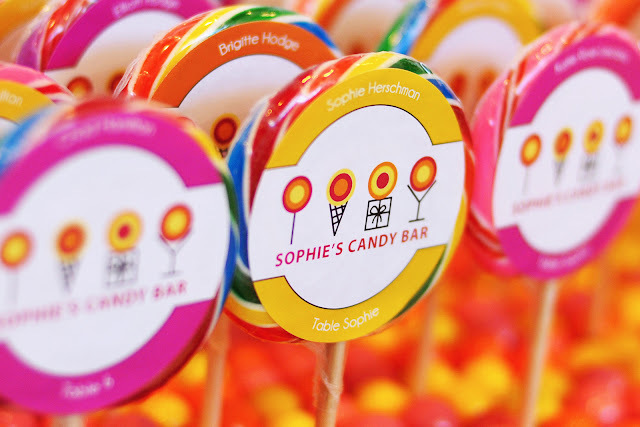 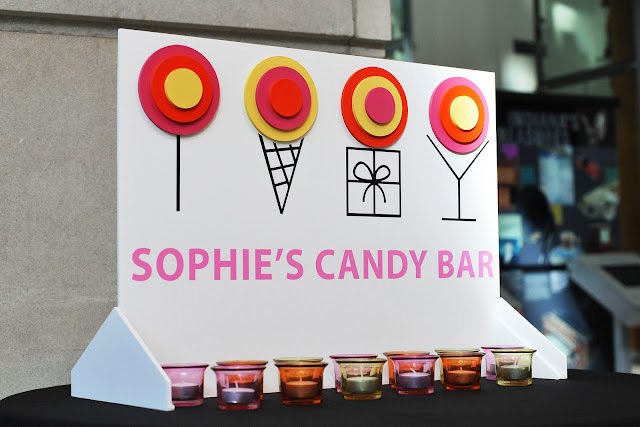 Sophie’s Candy Bar (bat mitzvah) was based on the Dylan’s Candy Bar store in New York City. 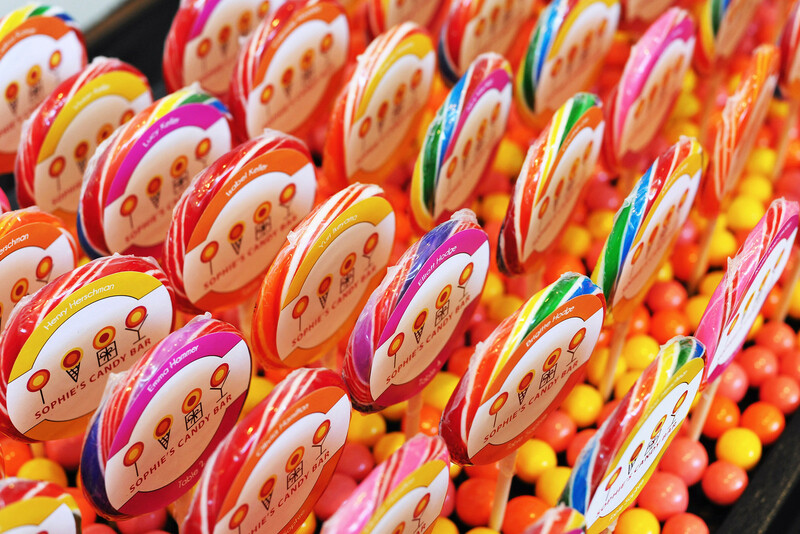 Her colors were hot pink, orange and yellow and the candy was plentiful. 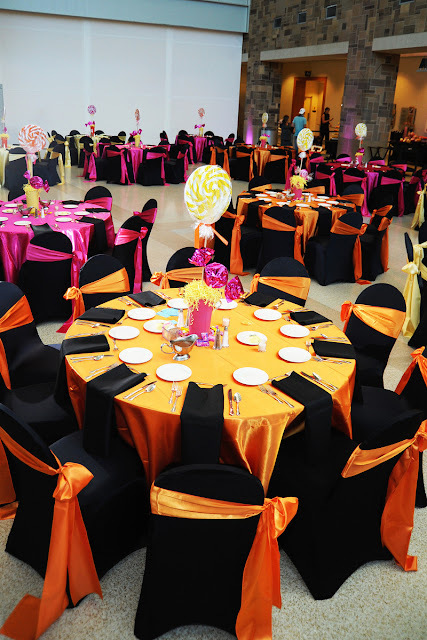 Here is a shot of the candle lighting centerpieces we created. 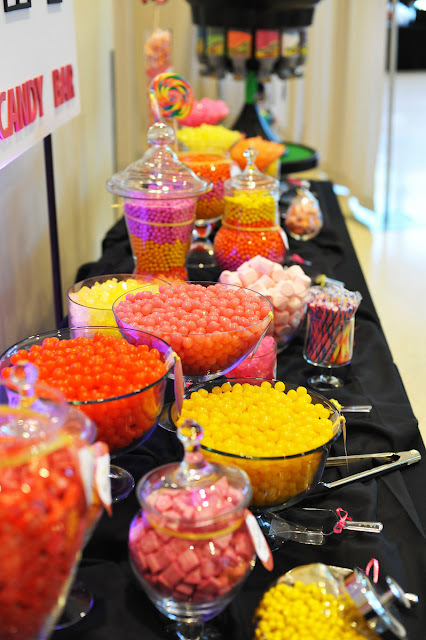 I told you the candy was plentiful! 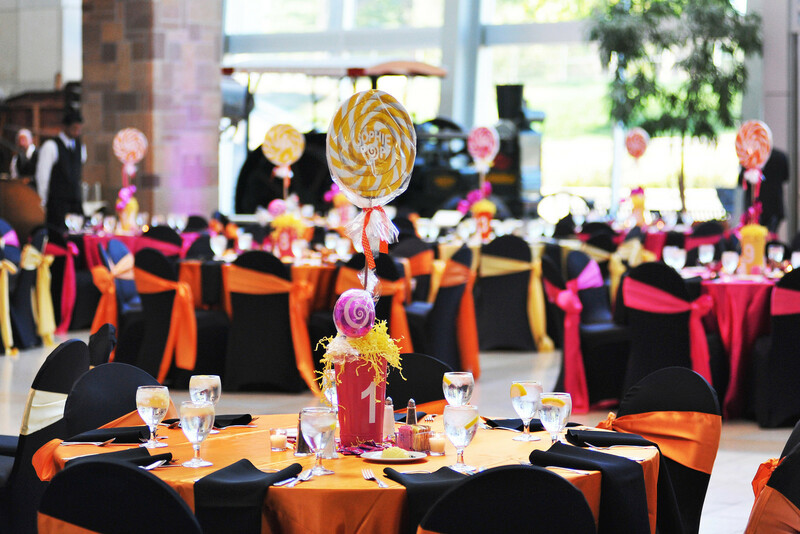 Check out the beautifully color coordinated candy buffet. Holy Cow….look at the cupcakes!! 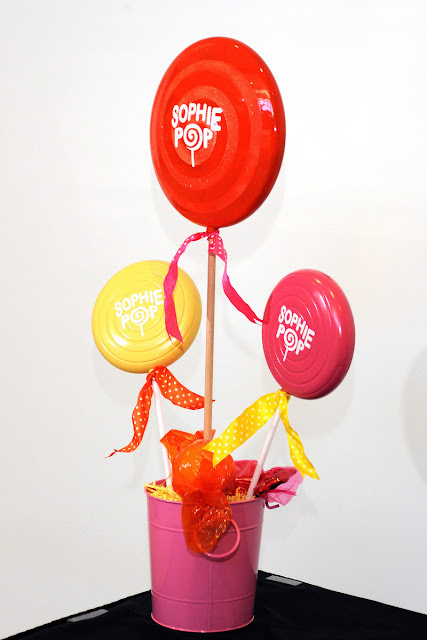 Created by the sweet chicks at Holy Cow Cupcakes. 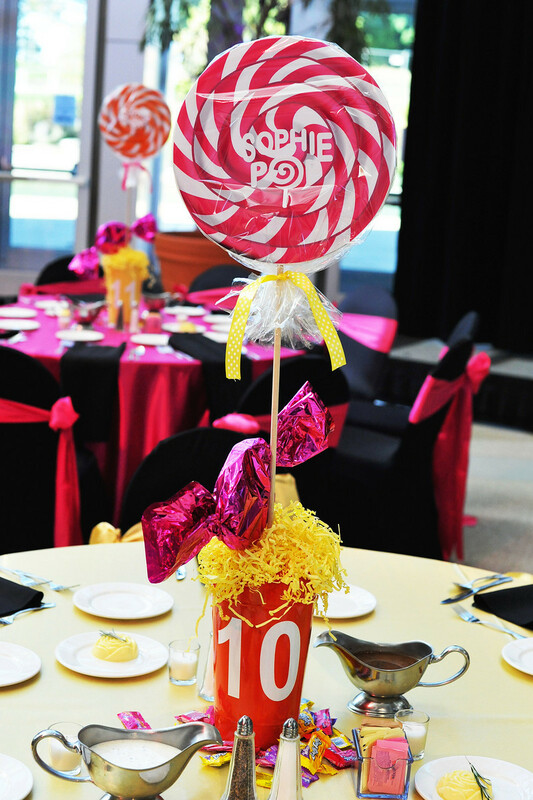 This was a larger version of the centerpieces that we created for the placecard table. I hope you didn’t get a tooth ache checking out the eye candy! 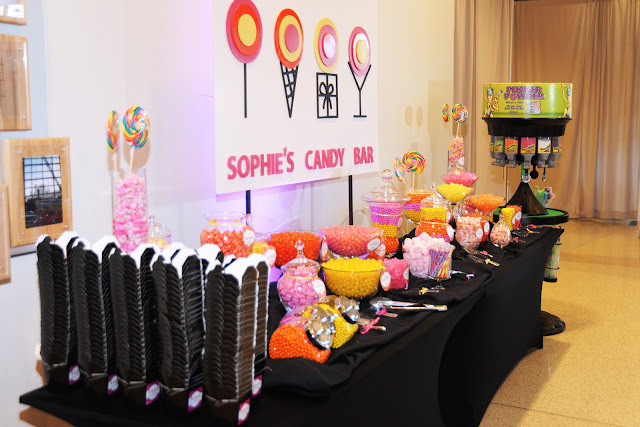 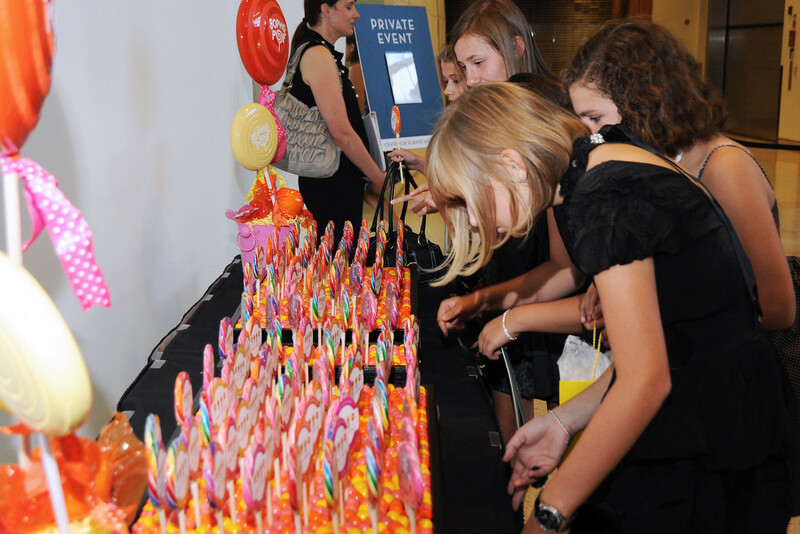 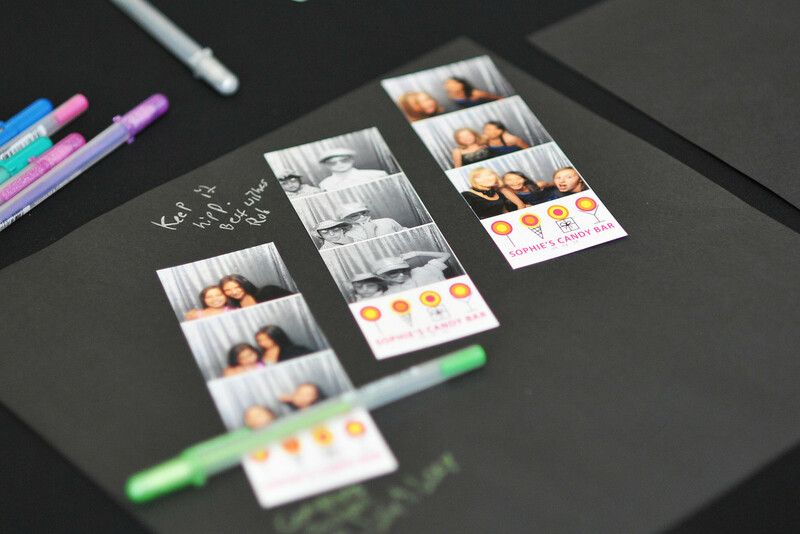 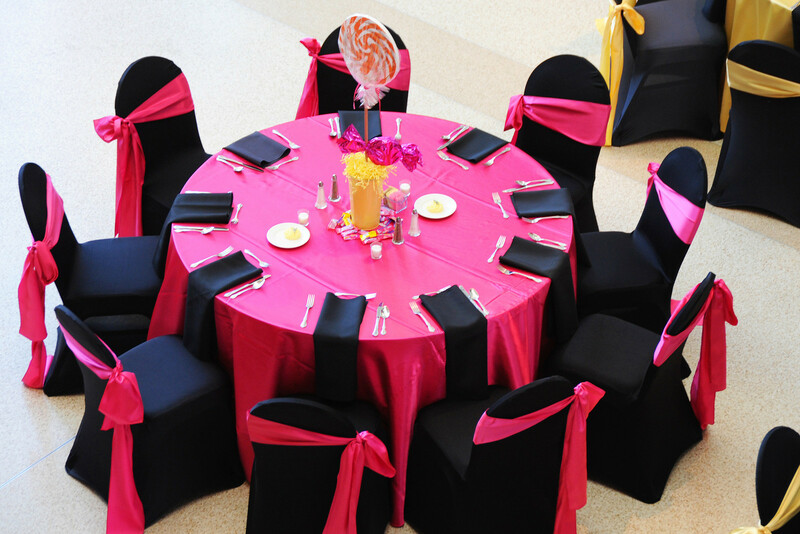 This entry was posted in Bat Mitzvah Party, candy buffet, Candy Theme Party, Giant Lollipop Centerpieces, Sweet Party on September 9, 2010 by Setting the Mood.